Ms. Miranda started her training with Grandmaster Azad in December 2013 at Azad’s Martial Arts Center. In her short time at Azad’s Martial Arts Center, she became an outstanding member of the prestigious black belt club, and Grandmaster’s special team called the SWAT team. She began her journey of martial arts as one of our outstanding female Mixed Martial Artists and then joined the Jong Shin Do family in 2015 learning Taekwondo, Hapkido, Mondern Arnis, and Sinmoo. Ms. Miranda has a degree in Cell and Molecular Biology from California State University, Chico. 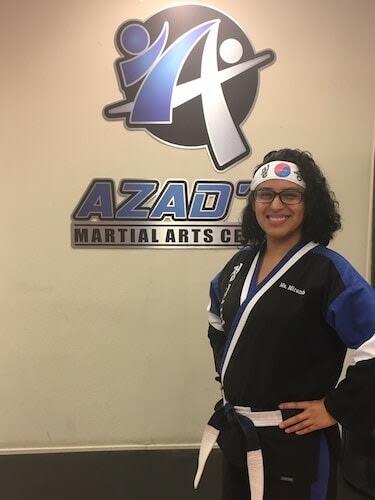 While a student at Chico State she fell in love with the community in Chico, and everyone at Azad’s Martial Arts Center and decided to stay in the North State. She has been a very active member of Grandmaster’s team of instructors and staff and has been very involved in the community service activities at Azad’s. Ms. Miranda says training at Azad’s Martial Arts Center has been a passion that made her the person she is today. 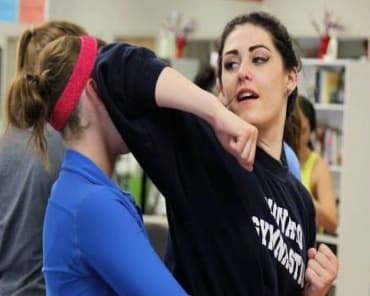 She is one of the Senior Instructors in the Personal Defense Training (PDT) program designed to teach personal safety, self-defense, and active practical combative to those interested in taking charge of their safety in life. 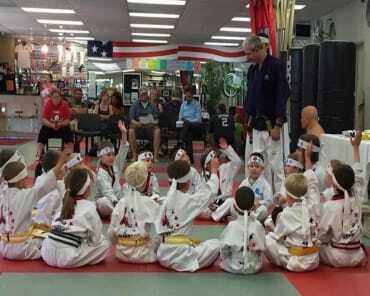 Ms. Miranda assists Grandmaster in teaching PDT to underage youth and adults of all ages. 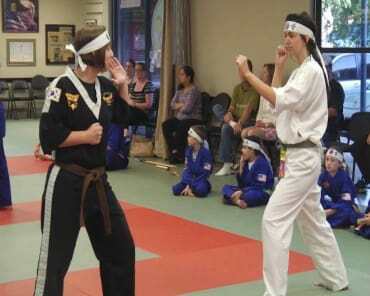 Together with Grandmaster, she has helped over 1000 local adults in Chico with their personal safety.